Below is an article from the Gazette and Herald about the club’s recent Half Year Assembly where we presented cheques to both local and international causes. 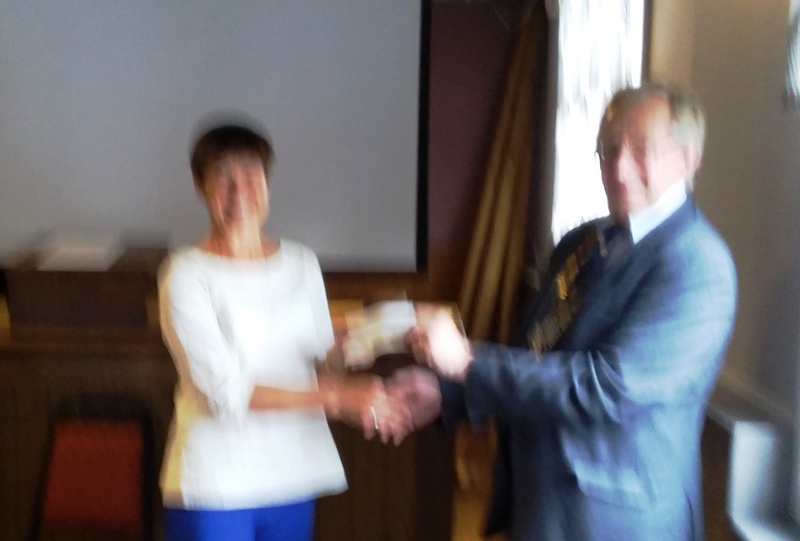 MONEY to support charities at home and abroad has been presented by Devizes Rotary Club. 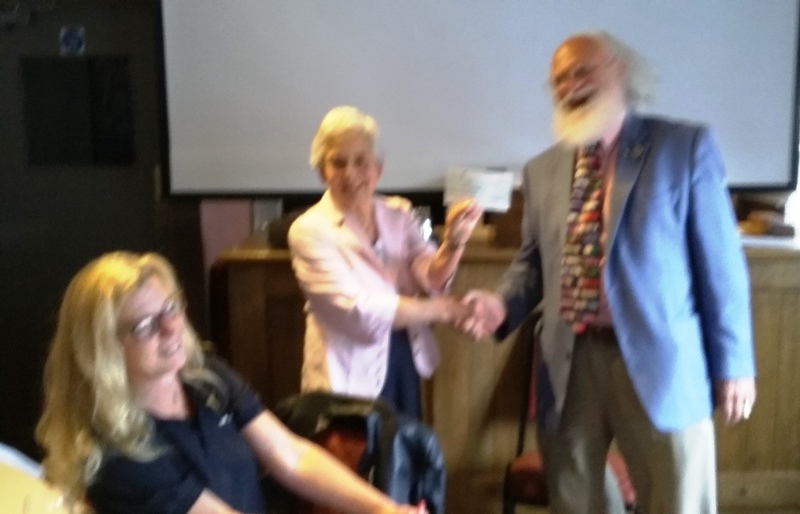 Representatives of Wiltshire causes including Dorothy House hospice and fundraising group Omnes ad Unum and national charities such as Sightsavers and Shelterbox were at The Crown, Devizes to receive cheques totalling nearly £3,000. 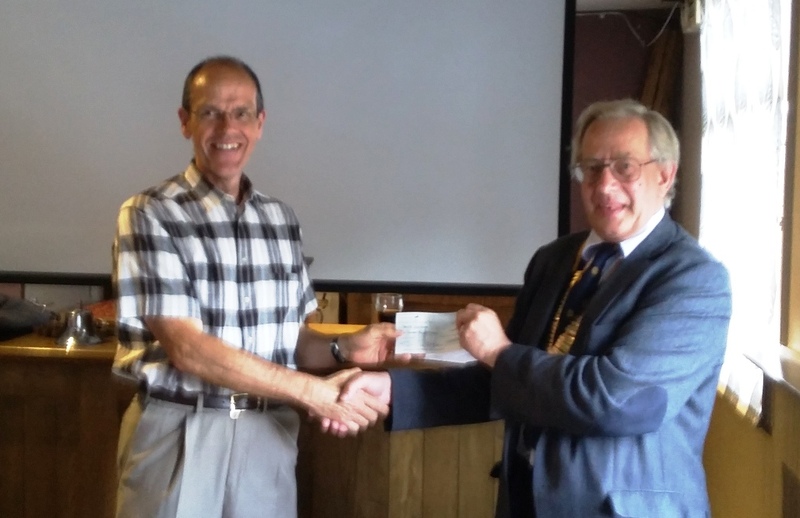 Devizes Rotary Club president Cliff Evans said: “It’s been a great pleasure to be able to help a wide range of causes again. These have included local organisations such as Alzheimers Support with £100, the Devizes Museum, £40, Dorothy House, £100, and Omnes ad Unum £200. 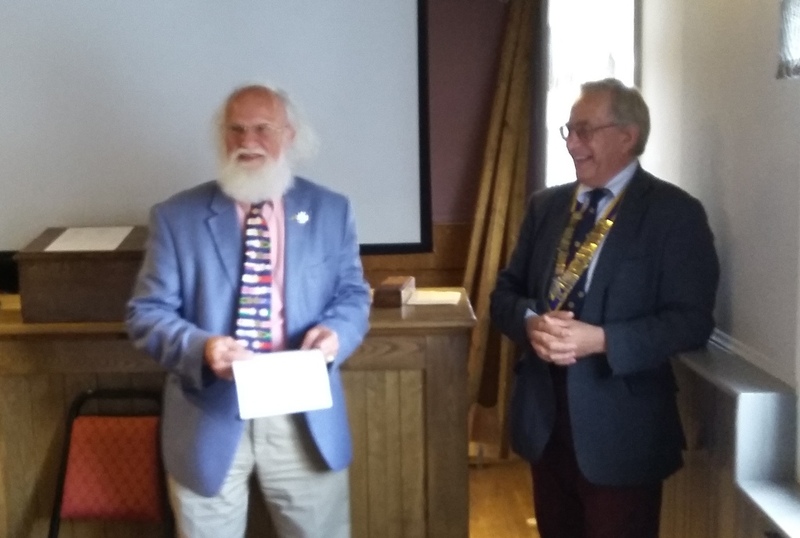 During his speech Mr Evans talked about the club’s achievements during the year which included helping Wiltshire Council’s Safe Places Team help vulnerable people in the town. 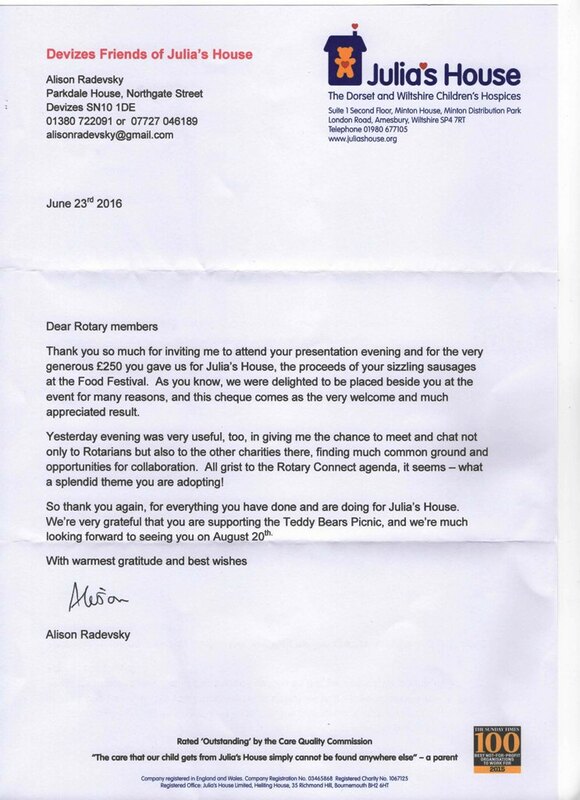 The club has also joined Devizes Community Area Dementia Action Alliance and ran the inaugural Devizes Area Rotary Young Chef Competition. If you have any questions about any of these please let me know. Also, look out for an article in the Gazette and Herald this week. I’ll post a reference to the article in this blog site once it’s been printed. 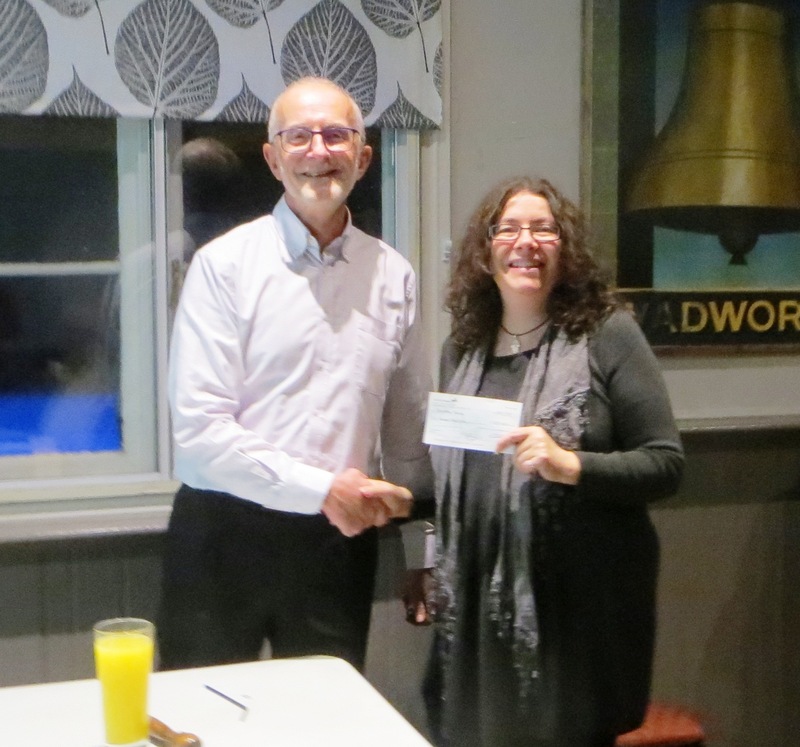 Last Tuesday the Devizes Rotary Club held it’s annual Presentation Evening where cheques were presented to a number of worthy causes using funds raised by the club over the last year or so. This was followed by the Club Assembly where the club’s plans for the coming year were outlined. Below are some photos of the presentations made during the Presentation Evening. Unfortunately their quality is not great, but the photographer (me) would like to blame the ‘phone used and not himself! Nevertheless I hope they still give an insight into the great evening that was had by all. A cheque for £400 was presented to Peter Brearley, Trustee Chair of the Devizes Food Bank. For information about the great work done by the Food Bank, click here. A cheque for £1,250 was presented to the Crown Centre in Devizes. Despite being in Devizes for 40 years, there are many people who don’t even know of its existence, let lone the great service it provides the community as mentioned in this press article. 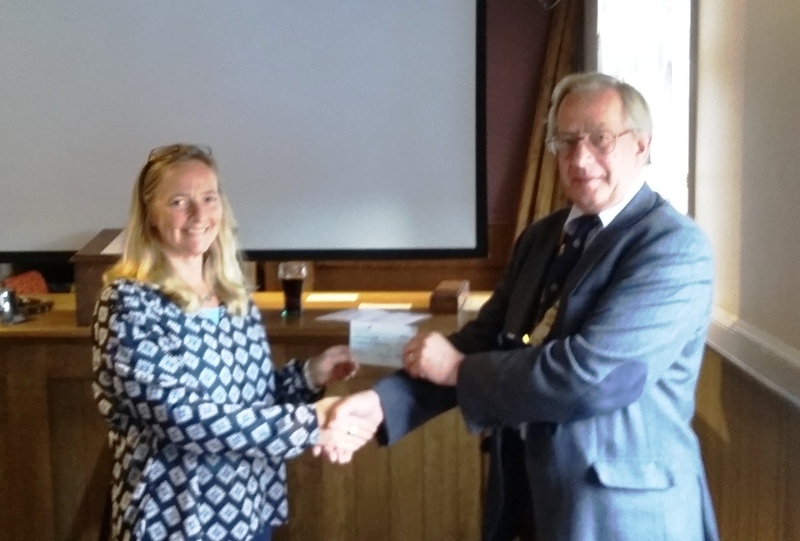 Paula Winchcombe, who is Chair of the Devizes Hospital Community Radio, was there to receive a cheque for £250 on behalf of the radio, which has been operating in and around the town for many years. Another cheque for £250 was presented to Sheila Ashley of Alzheimer’s Support. 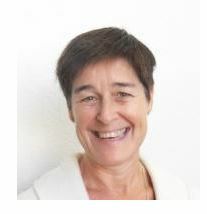 The organisation provide information to people living with dementia and their carers, and to professionals and the general public. 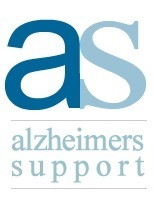 For further information about their work go to http://www.alzheimerswiltshire.org.uk. The worst quality ‘photo I took during the evening was of Alison Radevasky, Chair of Devizes Friends of Julia’s House. Alison as she normally looks! Alison received a cheque for £250 on behalf of the charity whose work is described on their website at https://juliashouse.org . 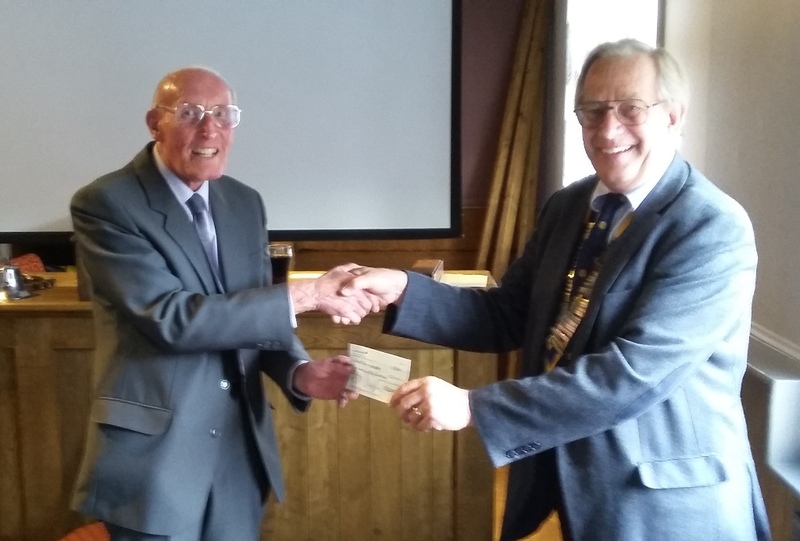 A cheque for £1,000 was given to Rotary’s End Polio campaign which, with help from partners, has reduced polio cases by 99.9 percent around the world since the first Rotary project vaccinated children in the Philippines in 1979. For further details click here . 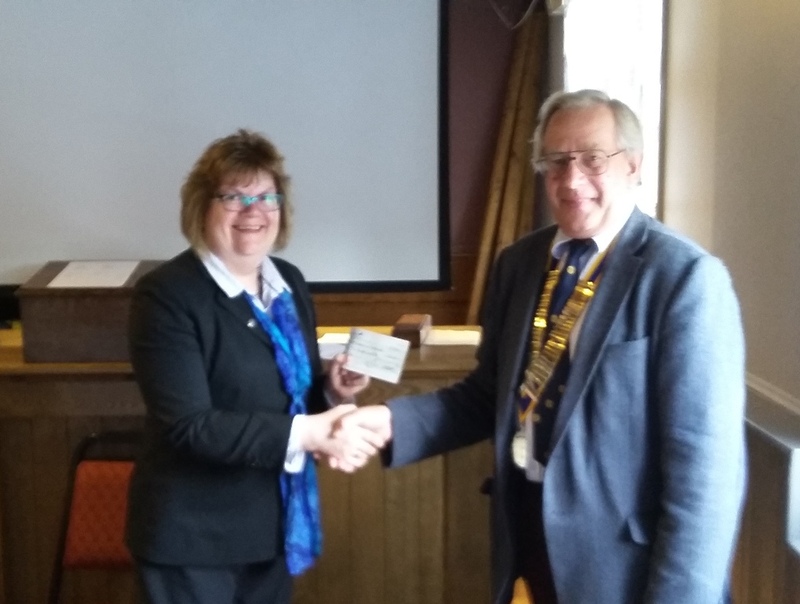 During the year the club has donated £606 to Rotary’s own charity – the Rotary Foundation – to help tackle challenges such as global poverty, illiteracy, and malnutrition. In addition to the above donations, further funds have been made available both locally to provide hampers to families at Christmas, and internationally to help the Jana Jyoti School in Nepal. Attached are the notes for the report I gave last Tuesday as 7 members were not able to attend due to the change of date and holidays it was suggested that I send it out to everyone. Also attached is a proposed calendar of events for the new Rotary Year. It still needs names against dates for inviting speakers and hosting those meetings. In the past 5th Tuesdays have been a time for us to scatter and visit other clubs, sometimes this works but often other Clubs are doing the same thing. Should we try moving our scatter dates a week earlier and moving the fellowship meeting to the fifth Tuesday in those months? Do we want Speakers in July and August? Do we want to scatter in July or do something like a BBQ or garden party or what do you suggest? My apologies for Tuesday (June 24) Jeannie and I will be in Chesterfield.